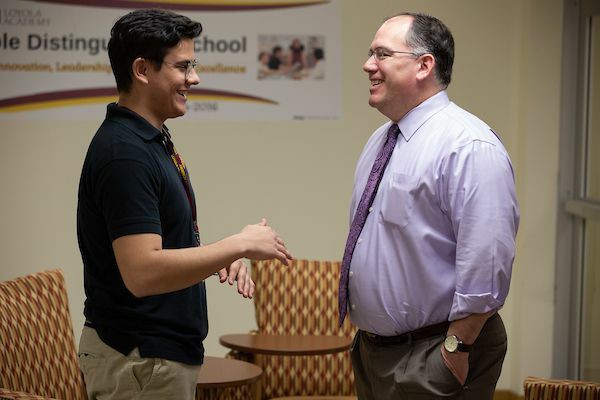 cultivates cura personalis with and among alumni and graduate parents through spiritual formation, service and professional and social networking—connecting our community members to Loyola as a Jesuit faith and education center for life. Volunteer with fellow Ramblers and Catholic Charities as we help to feed the hungry in Chicago. Space is limited. For more information about this service opportunity, please contact PLC executive member Laura Schramm ’07 at lauraschramm17@gmail.com. To learn more about Catholic Charities volunteer opportunities, click here. Join us for this event targeting next generation leaders. Have you moved recently? Changed your email address? Gotten a new job? Make sure we have all of your updated information by completing the profile update form. The inaugural Celebration of Champions event on March 23 drew a crowd of over 150 Rambler alumni, parents, coaches and fans to honor the legacy of Loyola Academy’s football program. 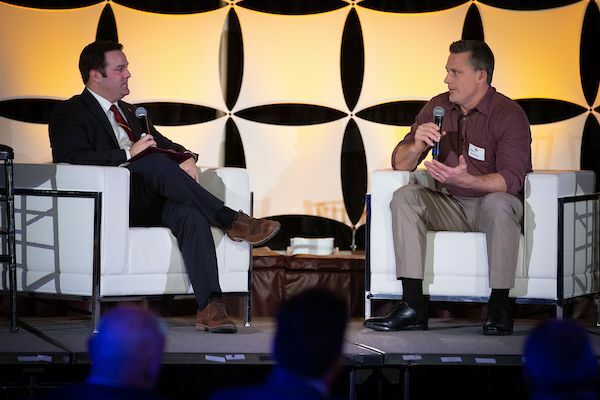 Following cocktails and supper by the bite, WGN TV’s Mike Lowe ’97 hosted a panel discussion featuring Head Coach John Holecek and some of the greats from Loyola football history including Adrian Autry '94, Jim Boyle '81, Richard Devine '61, Charlie Dowdle '12, Dan Kozlak '04, Mike Miller '70, Hobie Murnane '75 and Tommy Nute '16. 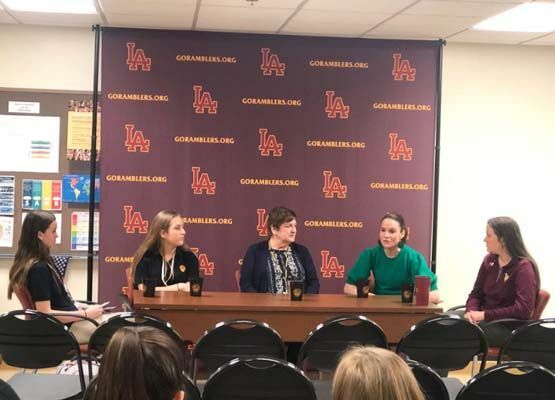 Loyola Academy celebrated Women’s History Month with a series of panels featuring current students, faculty, staff and alumnae guest speakers discussing contemporary issues related to women in sports, business, academia and more. 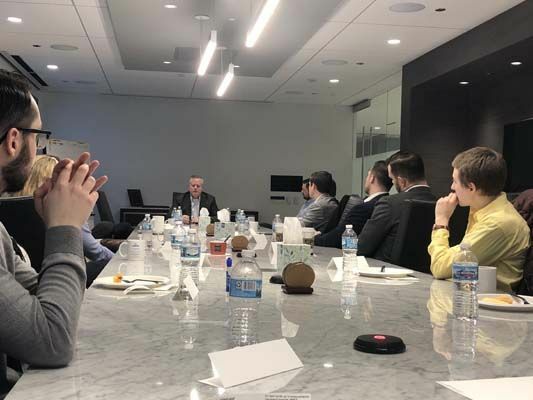 In March, 20 young alumni gathered at Lockton Companies in Chicago for a PLC Breakfast Speaker Series event featuring Peter Anthony '84, president and CEO of UGN, Inc. 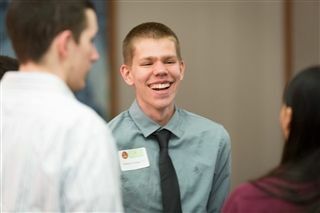 The Loyola Academy Student-Alumni Mentor Program is intended to foster a personal relationship between Loyola Academy students and young alumni. Have you recently earned a degree? Won an award? Changed jobs? 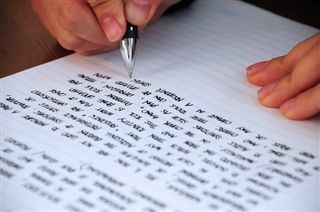 Written a book? Reached a milestone? 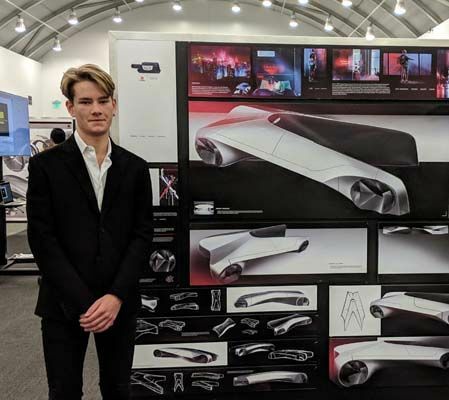 Accomplished a dream? We want to hear about it. Keep your classmates and friends up-to-date on what's happening in your life by submitting a class note to LOYOLA magazine editor Robin Hunt at rhunt@loy.org.